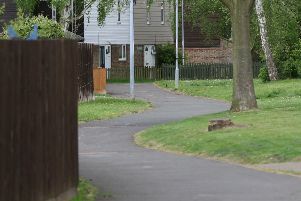 Detectives are re-appealing for information in connection with the unsolved murder of a Wisbech pensioner exactly three years after her death. The body of 86-year-old Una Crown was discovered in her bungalow in Magazine Lane on Sunday, January 13, 2013. She had not been seen alive since Friday, January 11, but had spoken to a friend over the phone at about 5pm on the Saturday, the day before she was discovered by police. A post-mortem examination revealed she died as a result of stab wounds to her neck and chest. Her body was then set on fire in an apparent attempt to disguise her injuries and destroy evidence. Detective Chief Inspector Jerome Kent, from the Bedfordshire, Cambridgeshire and Hertfordshire Major Crime Unit, said: “Three years on from this tragic incident, Mrs Crown’s killer remains undetected, and I’m urging anyone who has information they have kept quiet until now to contact us. “We still believe the answer to solving this case lies within the local community, so I ask people to really think back to what they were doing this time three years ago – did you see anything suspicious? Did someone you know come home smelling of smoke, acting strangely, or had clothing that was burnt or had blood on it? “Someone out there knows what happened to Mrs Crown and I am pleading with them to do the right thing and contact police. Anyone with information should call the Major Crime Unit on 101 or Crimestoppers, anonymously, on 0800 555 111 or via their online reporting system at www.crimestoppers-uk.org.